The BBC series Planet Dinosaur used state-of-the-art computer graphics to bring to life the most impressive of those dinosaurs whose remains have been discovered in the past decade. One of these is Gigantoraptor erlianensis. Discovered in 2005. it stands more than three metres high at the hip and is the biggest bird-like dinosaur ever unearthed Yet its discoverer. Xu Xing of Beijing's Institute of Vertebrate Palaeontology and Paleoanthropology, was not even looking for it at the time. He was recording a documentary in the Gobi Desert Inner Mongolia. Some extraordinary fossils have remained hidden in a collection and almost forgotten. For the majority of the 20th century, the palaeontology community had ignored the frozen tundra of north Alaska. There was no way. scientists believed, that cold-blooded dinosaurs could survive in such bleak, frigid conditions. But according to Alaskan dinosaur expert Tony Fiorillo. they eventually realised they were missing a trick. Do the following statements agree with the information in Reading Passage? 1 TRUEFALSENOT GIVEN Xu Xing went to the Gobi Desert to check fossil evidence of the existence of Gigantoraptor erlianensis. 2 TRUEFALSENOT GIVEN The announcement made by the National Geographic Society in 1999 was based on false evidence. 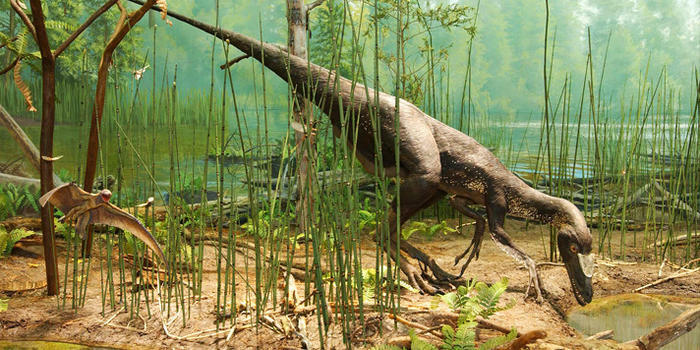 3 TRUEFALSENOT GIVEN Like Gigantoraptor, Yanomis martini was first discovered in China. 4 TRUEFALSENOT GIVEN The bones originally discovered by Robert Liscomb changed the attitude of palaeontologists towards north Alaska. 5 TRUEFALSENOT GIVEN According to Fiorillo. the name Troodon means ‘wounding tooth’. 6 TRUEFALSENOT GIVEN Guillermo Heredia had suspected that his find was a dinosaur fossil.